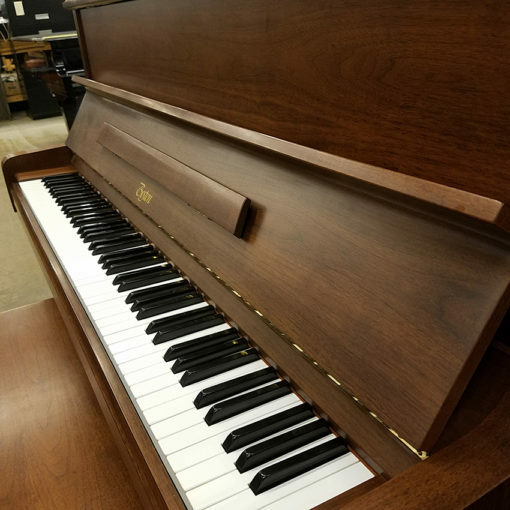 This used Boston 118-E is finished in a beautiful dark walnut satin, and sounds as good as it looks. 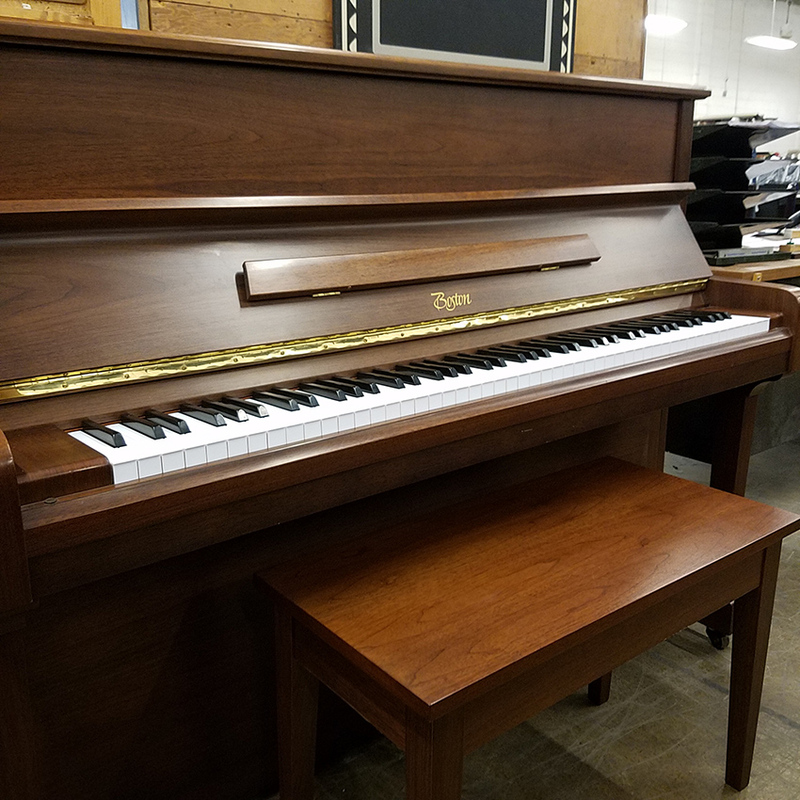 At 46.5” high, this piano is the perfect size for any room. Includes a matching bench.